Are major moves coming for the Lightning? Should the Oilers pursue Nikolaj Ehlers? Will the Canadiens attempt to sign Matt Duchene this summer? Check out the latest speculation in today’s NHL rumor mill. NHL.COM: Two days after the Tampa Bay Lightning was swept by the Columbus Blue Jackets from the opening round of the 2019 Stanley Cup Playoffs, Dan Rosen reports Lightning general manager Julien BriseBois is standing by head coach Jon Cooper and his core players. “I have great faith that eventually we’re going to get the job done and we’re going to bring the Cup back to Tampa with this group of players, with these coaches,” BriseBois said. Tampa Bay Lightning GM Julien BriseBois hopes to re-sign Brayden Point to a long-term contract (Photo via NHL Images). The Lightning GM also said he wasn’t going to overreact simply because his club suffered an inopportune four-game slump following their record-tying 62-win regular season. BriseBois admitted salary-cap constraints will result in some roster changes. Defensemen Anton Stralman, Dan Girardi, Braydon Coburn, and Jan Rutta are slated to become unrestricted free agents on July 1. 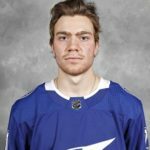 He also anticipates restricted free agent center Brayden Point will sign a long-term contract with the Lightning. THE HOCKEY NEWS: Ken Campbell believes the Lightning’s limited salary-cap space for next season and the need to re-sign Point this summer and starting goaltender Andrei Vasilevskiy next summer leaves BriseBois facing some tough choices. He notes the no-trade clauses in the contracts of Tyler Johnson and Yanni Gourde make them difficult to move. Campbell wonders if they’ll have to part with some assets to have a team take aging winger Ryan Callahan’s $5.8-million salary-cap hit off their hands, or if they’ll trade Point’s rights or allow another club to offer sheet the center and take the bounty of draft picks they’ll get as compensation. SPECTOR’S NOTE: Cap Friendly indicates the Lightning have over $73 million invested in 16 players for 2019-20. Assuming the cap reaches the projected $83 million, they’ll have roughly $10 million to work with. Point is coming off a 92-point campaign and is in line for a big raise. He could, however, follow the lead of teammates like Steven Stamkos, Victor Hedman, and Nikita Kucherov and accept less than market value to stay in sunny, tax-free Tampa Bay. Still, his raise could eat up around $7 million of their cap room for next season. 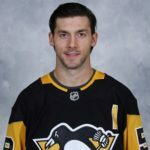 BriseBois indicated his intention to re-sign Point, meaning a player or two under contract for next season must be moved. Callahan has one year remaining on his contract and would be an obvious trade candidate but a significant sweetener must be included in the deal to get a rival club to take on his full cap hit for next season. Johnson has a full no-trade clause and probably won’t waive it. Gourde’s clause, however, doesn’t kick in until July 1, giving BriseBois the leeway he needs to move him before that date. Having re-signed Gourde last November, however, BriseBois could be reluctant to move him. I believe J.T. Miller could be shopped this summer. He’s a versatile 26-year-old forward carrying a reasonable $5.25-million cap hit whose modified no-trade clause doesn’t go into effect until July 1. EDMONTON JOURNAL: Jim Matheson believes Winnipeg Jets winger Nikolaj Ehlers would be a good fit with the Edmonton Oilers. 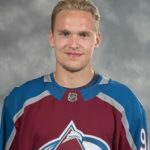 While they have limited cap space and Ehlers makes $6 million annually for the next six season, he’s the type of young, swift-skating offensive forward they need on their scoring lines. Matheson points out the Jets face a potential salary-cap crunch this summer with Patrik Laine, Kyle Connor, and Jacob Trouba becoming restricted free agents and Tyler Myers eligible for UFA status. He suggests the Oilers bundle their 2019 first-round pick with struggling winger Jesse Puljujarvi for Ehlers. The Jets traded away their 2019 first-rounder acquiring Kevin Hayes from the New York Rangers and Puljujarvi would be reunited with Laine, his former teammate from their World Junior days. THE ATHLETIC: Jonathan Willis recently examined which Edmonton Oilers players could be on the move this summer once a new general manager is hired. He expects free agents such as Tobia Rieder, Ty Rattie, Alex Petrovic and Anthony Stolarz won’t be back. Those facing uncertain futures in Edmonton include wingers Jesse Puljujarvi and Alex Chiasson, and defensemen Andrej Sekera, Kris Russell, and Matt Benning. SPECTOR’S NOTE: Maybe the Jets would entertain an offer of the eighth overall pick plus Puljujarvi for the chance to dump Ehlers $6-million cap hit and using the savings to re-sign Laine and Connor. That’s assuming, of course, they’re willing to take the chance on Puljujarvi regaining his scoring touch with Laine and that they want to move Ehlers in the first place. It’s an interesting suggestion by Matheson, but taking on Ehler’s $6 million pushes the Oilers’ cap hit to over $77 million invested in 16 players for 2019-20. Assuming an $83 million cap for next season, that leaves less than $6 million to fill out the rest of the roster. They’ll have to shed some other salary to give themselves sufficient wiggle room. COULD THE CANADIENS PURSUE DUCHENE THIS SUMMER? TVA SPORTS: cited NHL insider Elliotte Friedman recently telling Calgary’s Sportsnet 960 he can see the Montreal Canadiens pursuing Columbus Blue Jackets center Matt Duchene in this summer’s UFA market. 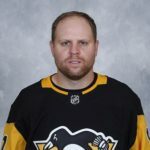 “I still think Montreal will take a run at him, they were around at the trade deadline, I think they take a look at this in the offseason,” said Friedman. He noted the lack of quality centers available in this summer’s UFA market and Duchene’s value is already quite high. SPECTOR’S NOTE: Friedman has previously indicated in the past that the Canadiens had interest in Duchene prior to his trade to the Blue Jackets before February’s trade deadline. 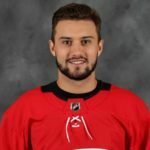 Should the cap reach $83 million next season as projected, they’ll have around $18 million in cap space to take on a significant asset like Duchene. That’s if he’s even available and willing to sign with the Habs. Duchene is playing well for the Jackets, who are likely to lose left winger Artemi Panarin to free agency on July 1. They gave up a lot (conditional first round picks in the 2019 and 2020 NHL Drafts, right winger Vitaly Abramov and right wing Jonathan Davidsson) to get Duchene. 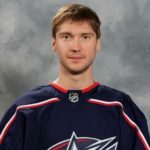 With over $51.4 million invested in 15 players next season, they have plenty of room to re-sign him if he wants to stay. Steve Yzerman named Red Wings GM, Blues push Jets to the brink of elimination, Hurricanes even their series with the Capitals, Sharks stave off elimination, Lady Byng Trophy finalists revealed, and more in today’s NHL morning coffee headlines. The Detroit Red Wings will hold a press conference today to formally announce the hiring of Steve Yzerman as their new general manager. Ken Holland will remain as senior vice president. The Detroit Red Wings have hired Steve Yzerman as their new general manager (Photo via NHL.com). SPECTOR’S NOTE: Can’t say I’m surprised by this announcement. Yzerman stepped down last fall as general manager of the Tampa Bay Lightning to return home to Detroit. Holland is signed through 2019-20 and gave no indication he was stepping aside but I think it’s clear that was the Wings plan all along. 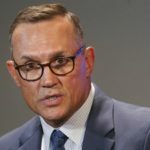 Yzerman returns to the Wings with a stellar reputation for building the Lightning into one of the NHL’s top teams. He takes over a roster stocked with promising young talent. It’ll be interesting to see what moves he’ll have in store to advance the Wings’ rebuild. One thing Yzerman won’t be doing is replacing the head coach as Jeff Blashill was re-signed earlier this month to a new contract. I wouldn’t be surprised if Yzerman was consulted on this before Blashill was signed. NHL.COM: A three-goal third-period comeback lifted the St. Louis Blues to a 3-2 victory over the Winnipeg Jets and a 3-2 lead in their opening-round series. Brayden Schenn’s game-tying goal was a controversial one for Jets’ fans as it appeared the net was dislodged by Schenn’s teammate Oscar Sundqvist as the puck crossed the goal line. Video review determined Sundqvist was checked into the net by Jets defenseman Dustin Byfuglien and allowed the goal to stand. The Blues can close out the series back in St. Louis for Game 6 on Saturday. SPECTOR’S NOTE: A heartbreaking loss for the Jets after it appeared they were cruising to victory entering the third period. It’s the second time in this series they’ve blown a lead in the third. This one could prove the most costly. The Carolina Hurricanes squared their opening-round series with the Washington Capitals at two games apiece with a 2-1 victory in Game 4. Teuvo Teravainen’s tiebreaker later in the second period held up as the winning goal. Petr Mrazek made 30 saves for the Hurricanes. It was a costly defeat for the Capitals as winger T.J. Oshie left the game with an upper-body injury in the third period after being checked from behind by Hurricanes forward Warren Foegele. SPECTOR’S NOTE: Foegele received a two-minute boarding minor penalty but it remains to be seen if he’ll face supplemental discipline. Further details on Oshie’s status could be released today but the early word is he could be sidelined for some time. The injury overshadowed what was a solid effort by the Hurricanes in neutralizing the Capitals offense for the second straight game. The San Jose Sharks staved off elimination with a 5-2 victory over the Vegas Golden Knights in Game 5 of their opening-round series. Tomas Hertl scored twice, Joe Pavelski and Erik Karlsson each had two-point performances, and Martin Jones made 30 saves in a bounce-back performance. The series returns to Las Vegas on Saturday for Game 6 with the Golden Knights holding a 3-2 series lead. SPECTOR’S NOTE: That was Jones’ best game of the series. He’ll need two more like that for the Sharks to have a shot at winning this series. Their blueline was also improved as this was the first time since Game 1 that they didn’t give up a goal in the first five minutes. SPECTOR’S NOTE: I understand why some unhappy Lightning followers were calling for Cooper to be replaced but that wasn’t going to happen. They aren’t going to fire a guy they just re-signed, especially after he coached them to a record-tying 62-win season. By the sound of things, BriseBois isn’t about to make any drastic moves regarding his club. TRIBLIVE.COM: Pittsburgh Penguins captain Sidney Crosby has declined an invitation to join Team Canada at the upcoming IIHF World Championships, opting to use the extra time to rest and heal from a long season. SPECTOR’S NOTE: Can’t say I blame Crosby. He’s played a lot of hockey since his last appearance at the Worlds in 2015. WGR 550: Buffalo Sabres center Jack Eichel will suit up for Team USA at the Worlds. SEATTLE TIMES: NHL Seattle president and CEO Tod Leiweke admitted costs to renovate KeyArena are expected to top $900 million and will push back the opening date to June 1, 2021. The delay isn’t expected to affect the debut season of Seattle’s NHL expansion team. SPECTOR’S NOTE: Over $900 million for an arena renovation project? Good thing this is privately funded or city taxpayers would have a fit. MONTREAL GAZETTE: The Canadiens re-signed defenseman Christian Folin to a one-year, one-way contract worth $800K.